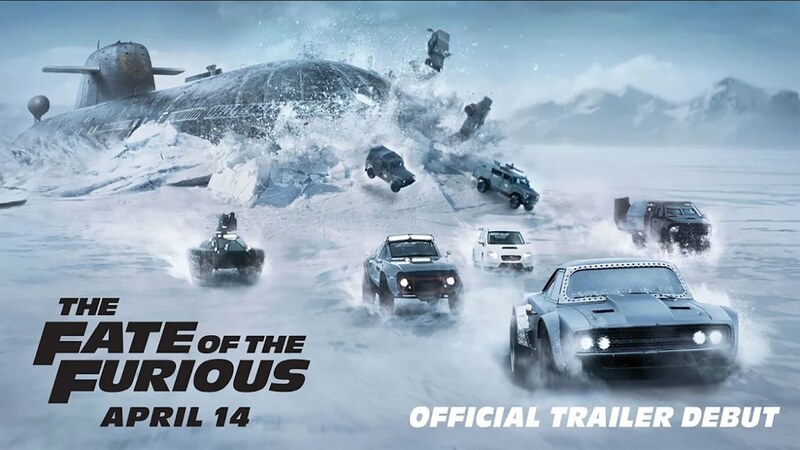 The Fate of the Furious debuted in theaters April 14. As someone who has never seen a Fast and Furious movie, there is this continuous thought in my head asking if I’m even qualified to judge it. At the same time though, I feel that movies shouldn’t require homework and if there is any explanations due, I can pick them up along the way. Going into this movie I’m expecting a film with interesting visuals, excessive female eye-candy, a bland plot and lots of explosions. The first five minutes, that’s exactly what I’m getting. My favorite action scene is with Jason Statham and Dwayne Johnson. Mostly because they were both distinct as static actors that they both blended well together and actually seemed on equal grounds. That was another problem with the film; the actors who played these characters don’t all blend well together, with some having some really nice interactions and others seeming like it was their first time talking to one another. Although one of my favorite pairs in the the film was the couple of Vin Diesel and Michelle Rodriguez, who came off as believable and actually somewhat likeable. What is interesting is that the film has two types of female characters. Background eye candies that are sprinkled throughout the movie, and surprisingly strong independent women who almost compete with their male counterparts. Although it still is Vin Diesel’s and Johnson’s movie, with the rest of the cast trying to keep up, the balance works at times and was surprisingly pleasant. One of the most enjoyable aspects of the film was the action sequences. It may seem simple, the cars, explosions, and bullets, but it was pulled off rather well and felt like a street version of James Bond. It’s enjoyable, it has no depth and it’s not here to make any significant statement of any kind. But that’s not the point of the film. It’s a ‘popcorn’ movie where you, if you’d like to, not really care about plot and just enjoy some loud visuals, actions scenes that get bigger and bigger, and celebrities just be themselves on a big screen.